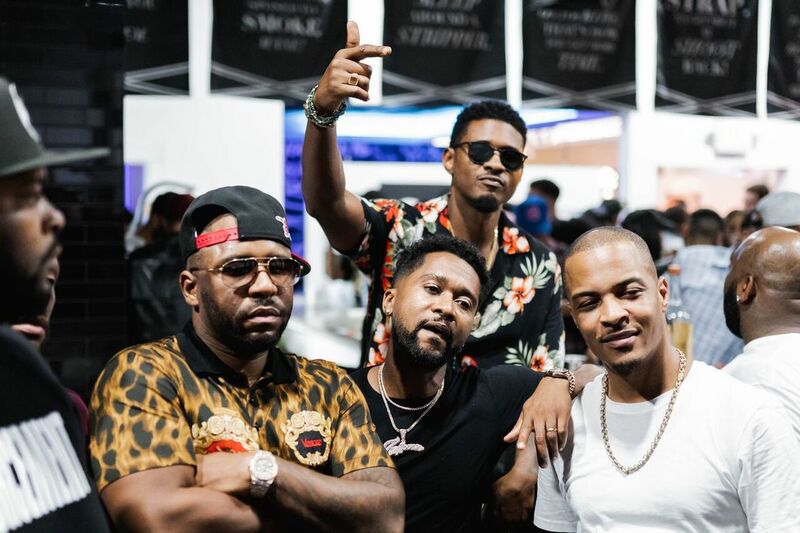 Atlanta, GA. 2 October 2018 – On Saturday, September 29th, Tip “T.I.” Harris hosted the VIP preview of the new Trap Music Museum in Atlanta. This pop-up museum is a collaboration of mix-media installations honoring the trap music culture and the artists, producers, DJ’s and more who helped create the genre. Over 300 guests came out to support and view the dynamic space while enjoying custom cocktails by Tito’s Vodka and bites by Chef Petey. DJ A1 spun the greatest trap music hits from 2003 – present time, while guests mixed, mingled and reminisced on the monumental moments that defined this movement. Select guests put their brains to the test by trying out the “Escape the Trap” escape room located within the space. This star-studded event featured appearances by: T.I. and Tiny Harris and the Harris Family – Domani Harris, Messiah Harris, Zonnique, Deja Harris, Heiress Harris and Major Harris, as well as Usher, Monica, Rocko, Zaytoven, Killer Mike, Toya Wright, MikeWillMadeIt, Young Dro, Big Bank Black, Bangladesh, LeToya Luckett, Kap G, Gorilla Zoe, DJ Toomp, Fly, Ming Lee, Translee, Angel McCoughtry, Omar Dorsey, Reginae Carter, Hurricane Dave, DJ Scream, DJ Jelly, Shanelle, Brie, Ryan Wilson, TK Peterson, Joe Green, Shod Da God, Taylor Girlz, Summerella, Mali Hunter, Akbar V, Dennis White, Ernestine Johnson, Jazzy McBee, K Botchey, Branden Criss, KY Engineering, Mike Walbert, DJ Smallz, Sarah Vivan, Robin Hood Tre, and many more. The Trap Music Museum is now open for the public.